OSLO – After a successful launch in 2015 all is set for the second annual Zimfest in Oslo Norway. The event which brings together the small but vibrant Zimbabwean and African community in Oslo as well as a good following of Norwegians and others who live in the city runs over 3 days from the 28th to the 30th of August 2015 at Nordic Black Theatre Cafeteatret in the heart of the City of Oslo. 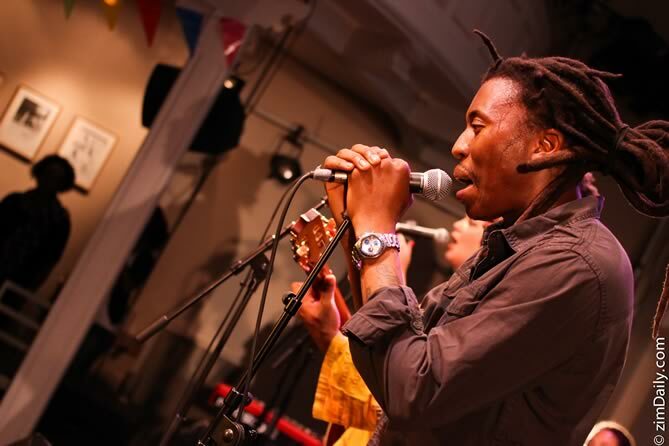 Headlining this year’s event will be world renowned Zimbabwean mbira soul artist Hope Masike who will be the artist in residence performing her own set as well as featuring alongside a number of artists on the bill. Also featured will be innovative hip hop act The Monkeynuts also from Zimbabwe who will perform their unique blend of hip hop, funk, soul, rock, dendera, chimurenga and quite possibly rhythms that have not even been named yet adding a very different dimension to the event. The Zimbabwean contingent is rounded off with two of Zimbabwe’s more talented vocalists; Busi Ncube formerly of legendary Zimbabwean group Ilanga who many will know from the hit “True Love” back in the 80’s and 90’s in which she was lead vocalist performing alongside late great legends Andy Brown and Don Gumbo, Rina Mushonga the very talented Netherlands based singer songwriter who returns to the Zimfest stage in another city this time and Oslo based Dj Ranga Kings. As always Zimfest will feature a host of other acts from around the world including talented Norwegian Mbira artist Hanna von Bergen who will also perform collaboration with Hope Masike, Monoswezi, a collective of musicians originally from Mozambique, Norway, Sweden and Zimbabwe with a common passion for traditional African music. The event also features a number of workshops, talks, stalls, a children’s programme as well as an afternoon braai featuring traditional Zimbabwean cuisine in a relaxed and family friendly environment.